Valentine's Day is a reminder to show love, not only to the important people in your life, but to yourself, too! 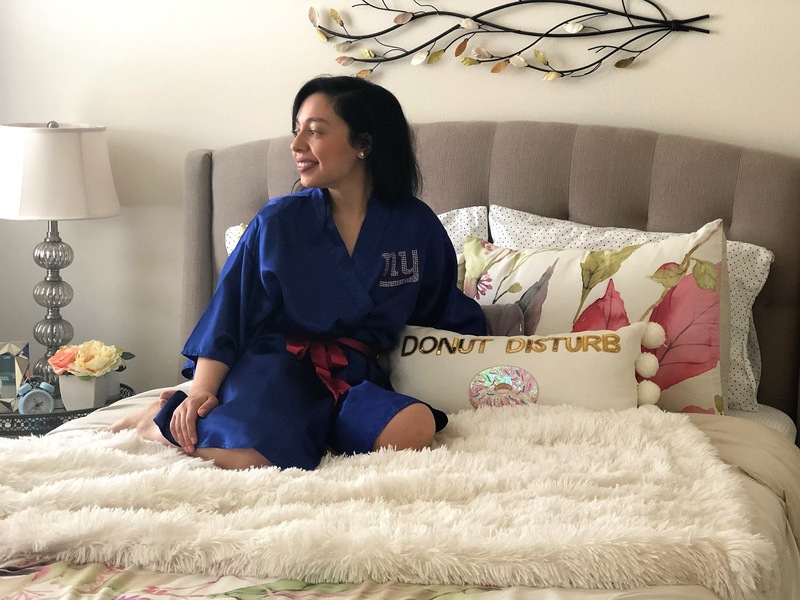 I believe a little pampering goes a long way, so no matter what your relationship status, treat yourself to something sweet and enjoy a little downtime this Valentine's Day (and every day, to be honest!). 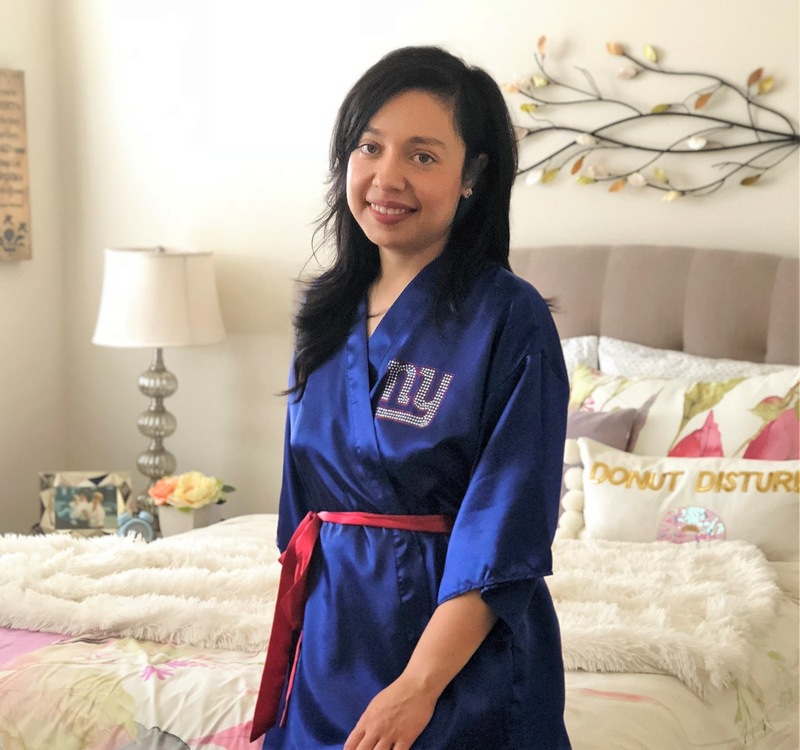 I'll be relaxing (and watching the Olympics) in this gorgeous satin sports team kimono, which is so soft and smooth. 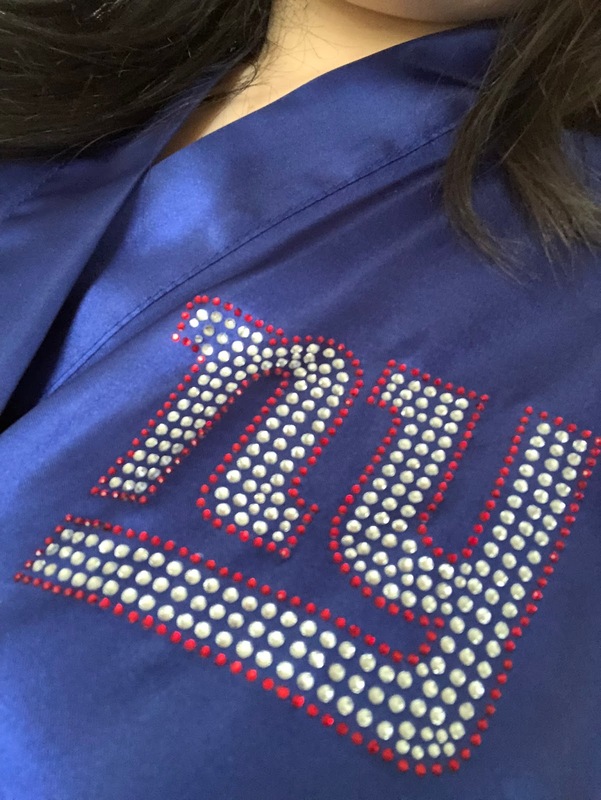 Plus, I can't resist a little bling! 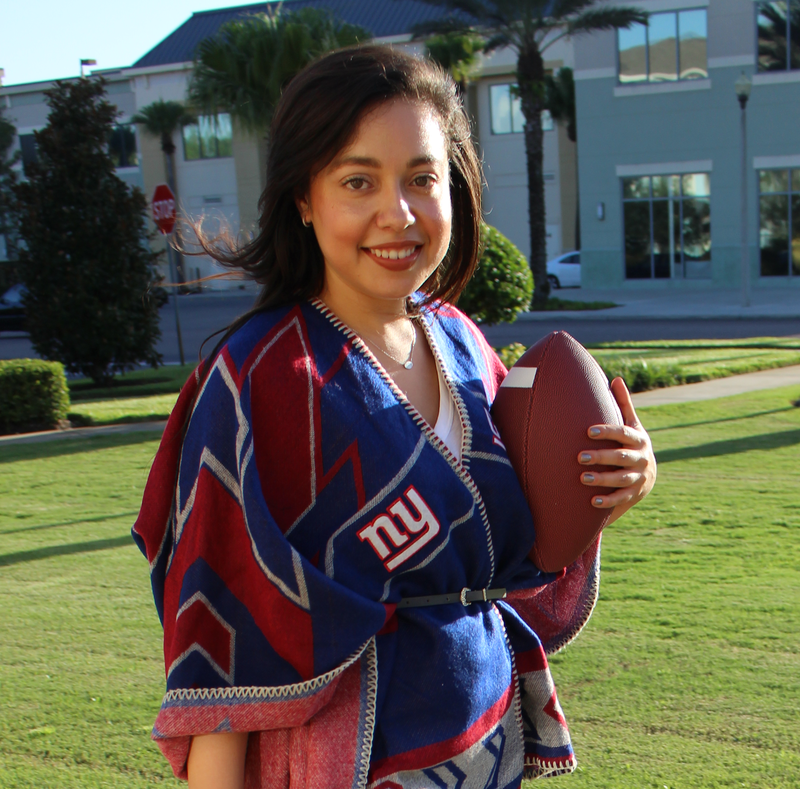 It features my New York Giants team logo in crystals along with a colorful sash for a pop of color. 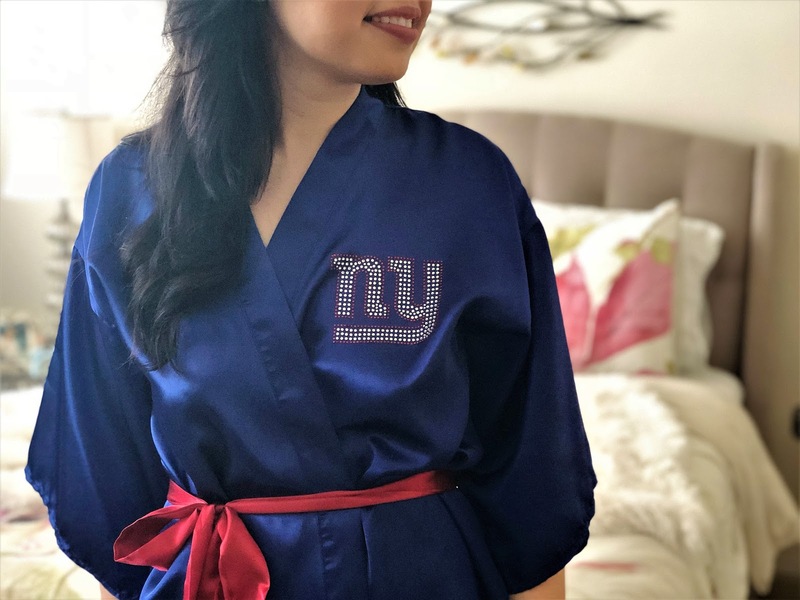 This stylish kimono comes in a variety of NFL, NHL and NCAA teams, so it's a great gift for your sports-loving Valentine or Galentine! Giveaway Alert! 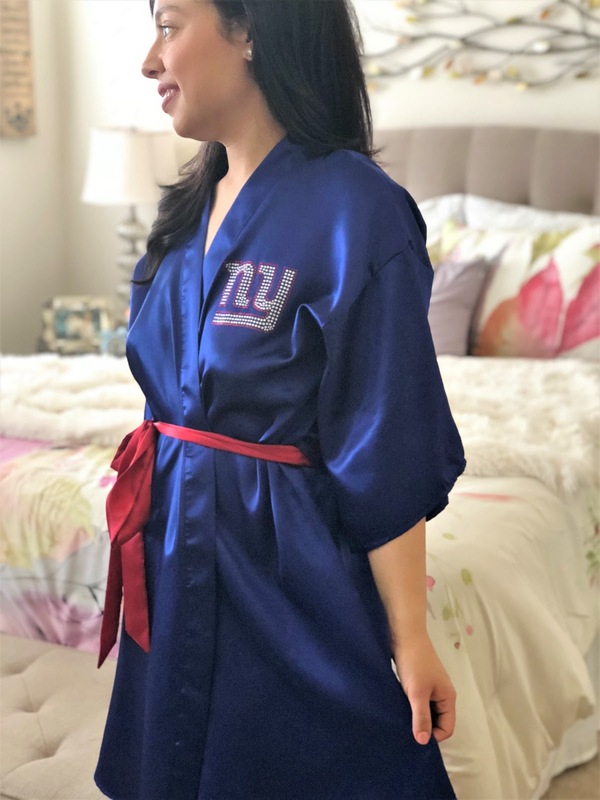 I've teamed up with Fantopia to treat one lucky lady to a kimono in her favorite NFL, NHL or NCAA team (pending availability)! Enter today on my Instagram for your chance to win. The giveaway runs for one day only and I'll announce the winner by Friday, February 16! Happy Valentine's Day to all my sports fan Galentines!